SCOTTSDALE, Ariz. – ZGrowth Capital, LP is excited to announce that it has made a strategic investment and acquired Ncounter Restaurants (www.ncounter.com). This is the company’s latest investment into a truly unique concept. Further, true to their business model, ZGrowth Partners will lead the effort to expand across the country. Ncounter is a fast-casual restaurant serving breakfast, lunch, brunch, and breakfast cocktails. With each visit you can taste the fresh-from-scratch difference of its pastries and get creative with its Build-Your-Own breakfast sandwich. It is the modern-day diner for the millennials. Today there are three Ncounter locations within the metro Phoenix market. Each of these locations is corporately owned and operated. Going forward the emphasis will be on franchising. Ncounter Restaurants is going through a name change and will now be known as the Daily Jam (https://www.dailyjamfranchising.com). The new name better reflects the concept’s energy and focus on freshly served breakfast, brunch and lunch favorites. “Ncounter/Daily Jam operates in one of the fastest growing segments within the quick service restaurant (QSR) sector. The all-day brunch concept is filling a major void left behind by the more dated traditional diner that has slowly disappeared”, according to Javier Parraga, Chairman and Chief Investment Officer of ZGrowth Capital and ZGrowth Partners. ZGrowth has major growth plans for the Daily Jam in the coming year. They plan to sell franchise locations in four states in 2019 and overall, they hope to grow the brand to 100+ locations in the next 3-5 years. 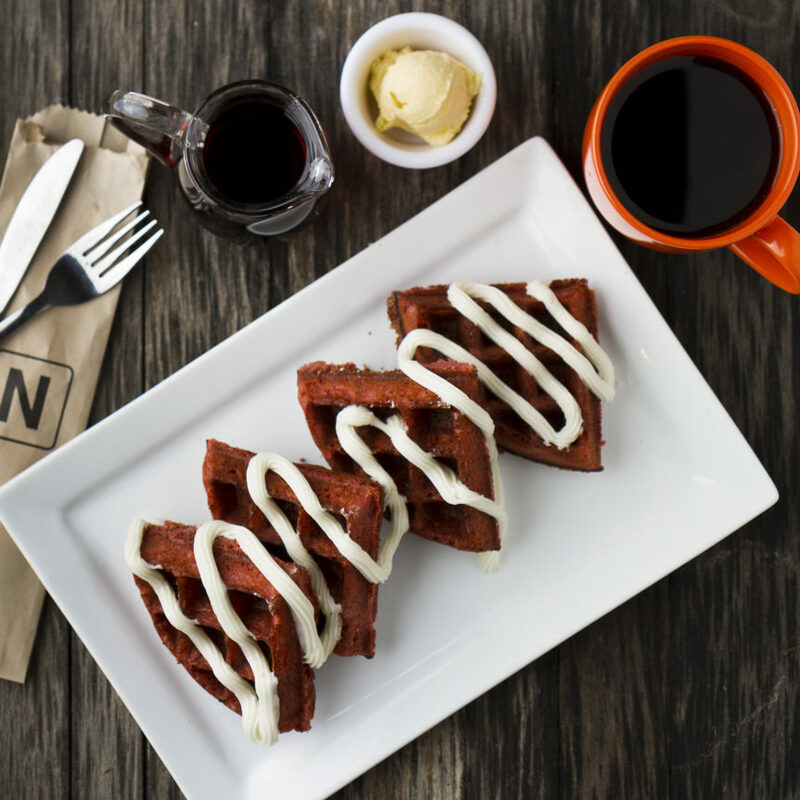 There is a big demand for the “brunch all-day, everyday” concept. What makes this such an enticing business opportunity is the relatively low capital requirement to open a location and the fact that Ncounter combines creative food items with enticing cocktails. Ncounter restaurants operate from 7:00 am until 3:05 pm daily, a single shift to operate the business, which allows the franchisee to be home for dinner each night. Today, Ncounter has built a reputation as a gathering place for families, friends and coworkers to connect over a quick specialty coffee, house-made pastries or great brunch menu items. Their ingredients, sauces and spices transform traditional brunch items into tasty dishes only found within the Ncounter kitchen. “We are thrilled to have such a quality brand in such a growing market segment. We feel confident that potential franchise owners will quickly attach themselves to this hip concept and that customers outside of the Phoenix Metro area will fall in love with the Daily Jam”, said Berekk Blackwell, President of Ncounter Restaurants.